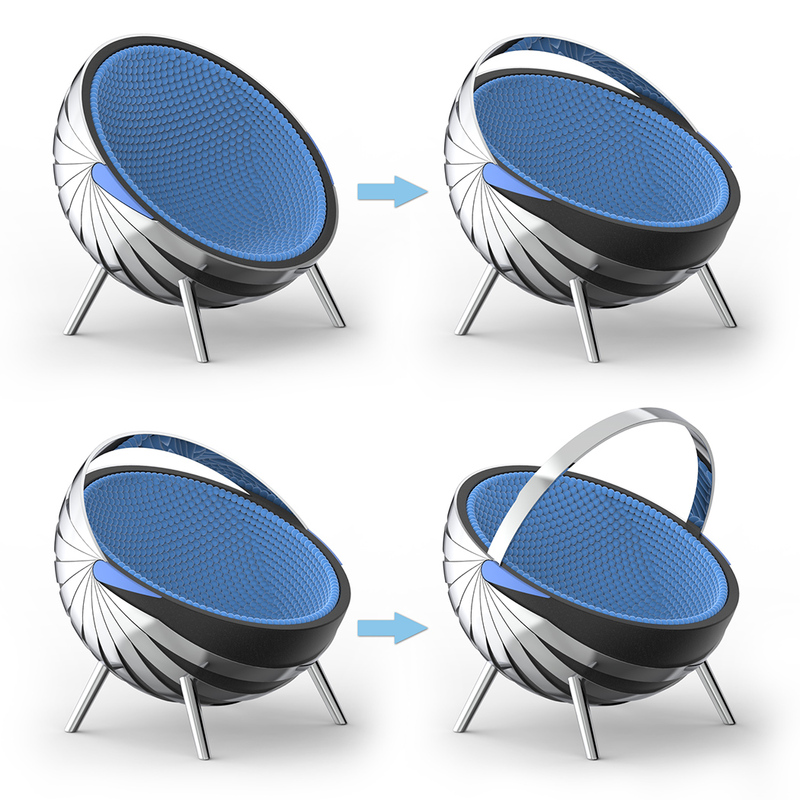 This far-out seating solution called Galaktika by Vasil Velchev creates a cocoon of comfort for the user. 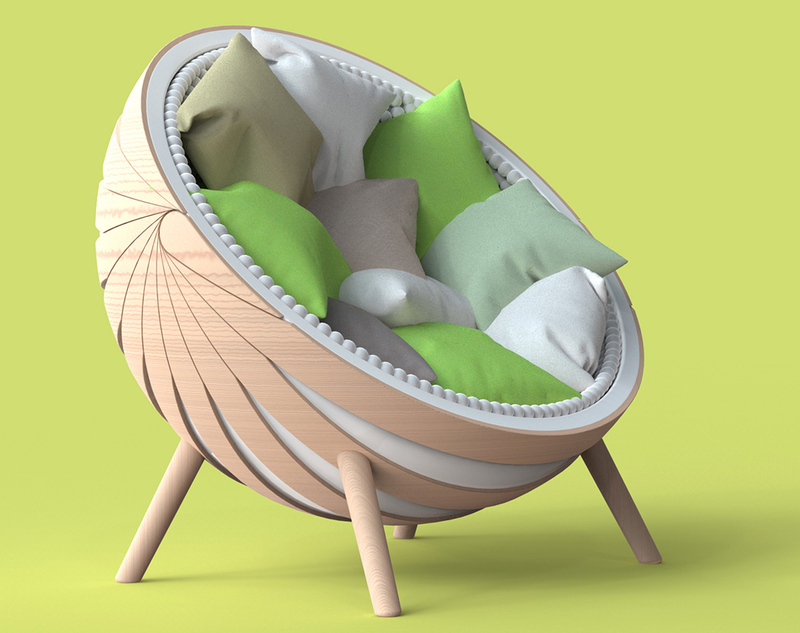 First designed as an airport armchair, it provides both a cozy place to sit and entertainment while you wait, whether you’re at the gate for your flight or the lobby at the doctor’s office. Lined with ultra-soft cushioning and capable of being fitted with additional pillows, it envelopes the user while isolating them from external noise. A built-in swing arm outfitted with a flatscreen TV provides access to movies, games, airport traffic information and more. 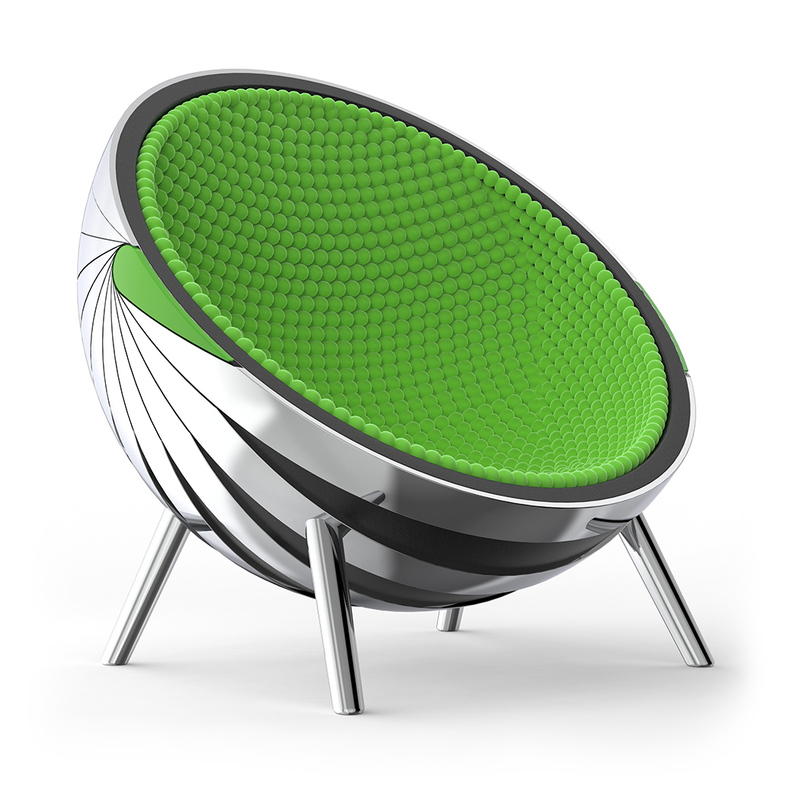 If you want more interesting chair designs – don’t forget to check Bowl chair and rocking chair Ufo.